Introspection entails the inward-looking self-observation of conscious thoughts. 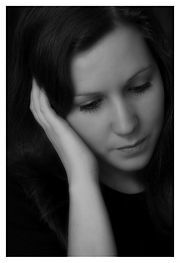 Introspection is an inward focusing on mental experiences, such as sensations or feelings. It is a conscious mental and purposive process relaying on thinking, reasoning, and examination of one's own thoughts and perceptions. Introspection is the process of directly examining one's own conscious mental states and processes. Literally, "introspection" means "looking inward." It is a uniquely human ability. Introspection provides access to the contents of consciousness. Psychologists, particularly Wilhelm Wundt and E.B. Titchener, as well as those in more recent times in the area of cognitive science, have used introspection to try to uncover the processes of the human mind by asking people to recount their thinking, perceptions, feelings, and so forth, in a variety of situations. In this paradigm, it was assumed that introspection could not lie. For philosophers, the awareness of one's own thought processes has been suggested as the way people obtain knowledge about the world and as evidence for the dualism of mind and body. Introspection allows human beings to self-reflect, to assess their state of mind, their understanding of the situation, and their planned course of action. This self-reflection allows people not only to check the validity of their mental processes in terms of their accuracy, but also their moral or ethical status. Thus, the introspective ability is an essential balance to our free will, allowing us the opportunity to check our thoughts and plans, and thus to be responsible for them. If one wishes to know what is going on in another's mind, he must observe the subject's behavior; on the basis of what one observes, one may sometimes reasonably draw a conclusion about the person's mental state. Thus, for example, on seeing someone smile, one infers that they are happy; on seeing someone scowl, one infers that they are upset. But this is not, at least typically, the way in which one comes to know his own mental states. People do not need to examine their own "behavior" in order to know how they feel, what they believe, what they want, and so on. The understanding of these things is more direct than the understanding of the mental states of others, it seems. The term used to describe this special mode of access which people seem to have to their own mental states is introspection. Since the seventeenth century, there has been considerable disagreement on the scope, nature, and epistemic status of introspection. Descartes held that all mental states are subject to introspection; that it is sufficient to have a mental state to be aware of it; and that when one introspects, he cannot be mistaken about what he sees. On this view, introspection provides a foundation for knowledge of the physical world, and one comes to know the physical world by first coming to cognize and/or recognize certain features of one's mind, namely, the sensations which physical objects excite, and then drawing conclusions about the likely source of these mental states. Knowledge of the physical world is thus indirect; it is grounded in the direct knowledge people have of their own minds. 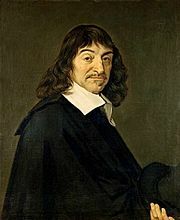 Descartes argued for dualism on the basis of introspective evidence. The view that introspection provides an infallible and complete picture of the mind, however, is no longer widely accepted. Introspection has been called upon to support various metaphysical conclusions. 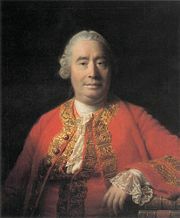 David Hume noted that introspection does not reveal the presence of an enduring self, but only a series of fleeting perceptions. On the basis of Hume's philosophy, some later philosophers have concluded that there is no enduring self. It has been argued that when people attempt to report on the processes mediating the effects of a stimulus on a response, they do not do so on the basis of introspection but, rather, on the basis of the individual's implicit common sense. Ericsson and Simon (1980) have developed a model of mechanisms by which introspective reports are generated. They have used that model to identify the conditions under which such reports are reliable. Introspection has been thought to aid in forming beliefs on the basis of adequate evidence, and it has been used as a tool of self-security by those concerned to understand and refine their motivations and characters. Philosophers concerned with self improvement, whether epistemological or moral, have frequently called upon introspection. In psychology, introspection is a method of inquiry in which subjects attempt to examine the contents and processes of their consciousness. Introspection has been used in the study of a range of psychological processes, including memory, learning, thinking, problem solving, dream analysis, and perception. Nineteenth century psychology relied heavily on introspection. As a research method, introspection was used by German physiologist, philosopher, and psychologist Wilhelm Wundt in the experimental psychology laboratory that he had founded in Leipzig, in 1879. Wundt believed that by using introspection in his experiments, he would gather information into how the subjects' minds were working. In this way, he wanted to examine the mind into its basic elements. Wundt did not invent this way of looking into an individual's mind through their experiences; rather, it can be dated to Plato and Augustine. Wundt's distinctive contribution was to take this method into the experimental arena and thus into the newly formed field of psychology. Wilhelm Wundt was interested in studying people’s mental experiences. His introspective method involved one's careful self-examination and reporting of one's conscious experience—what one is perceiving, feeling, thinking, or sensing at each particular moment in time. For example, he would expose people to a visual or auditory stimulus, a light or a sound, and ask them to report their conscious reactions to the stimulus (what it sounded like, how long it lasted, how it felt). The method of introspection was not a simple reflection on experience. Subjects were rigorously trained in the process of examining, describing, and reporting immediate sensory experience in response to systematic questioning. Edward B. Titchener defined the conditions for optimum introspective observation: subjects should be unbiased and should prevent other associations from influencing the report of the immediate experience. In addition, subjects should be alert, free from distractions, healthy, fresh and free from fatigue, and interested in the experience under study. Introspection was the principal method of the structuralist school led by Wilhelm Wundt in Germany and Edward B. Titchener in America. Structuralists or introspectionists sought to break down experience into its component parts or elementary sensations. Sensation was considered primary, with perceptual processes being viewed as secondary organized activities. A subjective understanding of consciousness and the contents of mind was the goal of Structural or Introspective Psychology. This method was opposed by the psychologists of the Gestalt school. They rejected the assumption of primary elements of experience in favor of innate organizational propensities and a holistic view of perception. Introspective analysis they claimed revealed nothing because phenomena were experienced as patterns, rather than simply the sum of their parts. The Functionalist school represented by John Dewey also opposed the subjective introspective approach, emphasizing instead the importance of systematic, objective demonstration and experimental testing theory. The behaviorists, such as John B. Watson, condemned introspection as qualitative and unreliable and opposed the consideration of all notions of subjective experience and questions of consciousness, emphasizing only observable behavior analyzed in terms of measurable stimuli and responses. Cognitive psychology accepts the use of the scientific method, but rejects introspection as a valid method of investigation. Herbert Simon and Allen Newell identified the Talk aloud protocol (and Think aloud protocol), in which investigators view a subject engaged in introspection, and who speaks his thoughts aloud, thus allowing study of his introspection. Think aloud protocols involve participants thinking aloud as they are performing a set of specified tasks. Users are asked to say whatever they are looking at, thinking, doing, and feeling, as they go about their task. This enables observers to see first-hand the process of task completion (rather than only its final product). Observers at such a test are asked to objectively take notes of everything that users say, without attempting to interpret their actions and words. Test sessions are often audio and video taped so that developers can go back and refer to what participants did, and how they reacted. The purpose of this method is to make explicit what is implicitly present in subjects, who are able to perform a specific task. A related but slightly different data-gathering method is the talk-aloud protocol. This involves participants only describing their action but not giving explanations. This method is thought to be more objective in that participants merely report how they go about completing a task rather than interpreting or justifying their actions (see the works by Ericsson and Simon). Unlike oxygen, honey bees, and Mustang convertibles, in humans there is a considerable amount of individualization, no doubt arising from nature's increased reliance on individual imagination and judgment ("reasoning"). But since this is an order problem rather than a privacy problem the solution is, not to banish introspection, but rather to differentiate (stratify) between the more evolved individualized features and the more mechanical, isomorphic processes lower in the evolutionary scheme of things. Once accomplished, the individualization can then be dealt with by applying corresponding amounts of abstraction and generalization to those features where individualization appears to be most rampant. 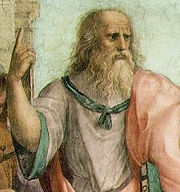 Raphael's Plato in The School of Athens fresco, probably in the likeness of Leonardo da Vinci. Introspection may be used synonymously with human self-reflection. Introspection looks like an activity described by Plato, "…why should we not calmly and patiently review our own thoughts, and thoroughly examine and see what these appearances in us really are" (Theaetetus, 155). Human self-reflection is the capacity of humans to exercise introspection and the willingness to learn more about our fundamental nature, purpose and essence. The earliest historical records demonstrate the great interest which humanity has had in itself. Human self-reflection invariably leads to inquiry into the human condition and the essence of humankind as a whole. Human self-reflection is related to the philosophy of consciousness, the topic of awareness, consciousness in general, and the philosophy of mind. Introspection can also be called contemplation on one's self, as opposed to "extrospection," the observation of things external to one's self. Humans often consider themselves to be the dominant species on Earth and the most advanced in intelligence and ability to manage their environment. This belief in Western culture is derived in part from the Biblical creation story, in which Adam is blessed to rule over and have dominion over the Earth and all of its creatures (Genesis 1:26). Karen Horney and Theodor Reik have used the so-called introspective analysis as a method equivalent or superior to traditional psychoanalysis. Introspective analysis is the careful systematic self-observation with the intent to learn more about the self. The Phenomenological movement was initiated at the beginning of the twentieth century by the German philosopher Edmund Husserl. Phenomenology is the systematic study of immediate experience, or of the world as it appears to the observer. According to phenomenological principles, observation must come before analysis and interpretation. 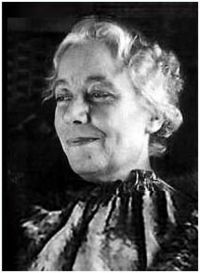 It is contrasted with the analytic approach of Wilhelm Wundt and has greatly influenced Gestalt psychology and Existentialism. Anderson, S. J. 1975. The untranslated content of Wundt’s Grundzüge der physiologischen Psychologie. Journal of the History of the Behavioral Sciences, 10, 381-386. Clark, H. M. 1911. Conscious attitudes. American Jounnal of Psychology. 22, 214-249. Ericsson, K., & Simon, H. (May 1980). Verbal reports as data. Psychological Review 87 (3): 215–251. Ericsson, K., & Simon, H. (1987). "Verbal reports on thinking", in In C. Faerch & G. Kasper (eds. ): Introspection in Second Language Research. Clevedon, Avon: Multilingual Matters, 24–54. Ericsson, K., & Simon, H. (1993). Protocol Analysis: Verbal Reports as Data, 2nd ed., Boston: MIT Press. ———. 1979. Wundt and After: Psychology’s Shifting Relations with the Natural Sciences, Social Sciences, and Philosophy. Journal of the History of the Behavioral Sciences, 15, 231-241. Roberts, Phil. n.d. Ruminations of a Rationologist. Retrieved December 24, 2007. Woodworth, R. S. 1906. Imageless thought. The Journal of Philosophy, Psychology and Scientific Methods. No.3.-701-708. This page was last modified on 19 April 2014, at 16:32.